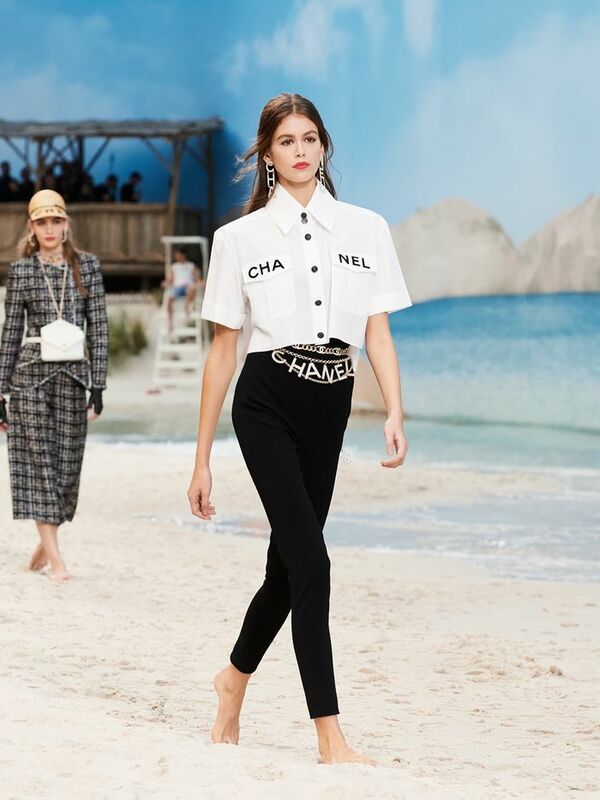 While there was no shortage of trends spotted at the S/S 19 Chanel runway show, the legging outfits were among the standouts, and the looks we saw are almost surely the ways everyone will be wearing them in 2019. As the models walked out, all of the fashion editors and influencers in attendance were quick to comment on wanting to repeat their looks, and the Who What Wear editors have been equally prepared to cop the styles in our own lives. So, what lessons are we taking from the Chanel show about the best way to style leggings in the year ahead? For one, Karl Lagerfeld is making a case for what to wear with leggings—whether it’s a tweed blazer, a chain-link belt, or a button-down—but also the silhouette to try, i.e., an ankle-length version, cropped capris, or bike shorts. Scroll down to see our biggest takeaways for the stylish ways to wear leggings in 2019.